For your holiday baking, may I suggest a flour that I recently discovered? I’m really excited about it! I’ve made blueberry muffins and pancakes using just this flour in the recipes and they tasted great, and were much more satisfying to eat. Last night, I mixed together homemade cinnamon rolls using half regular white flour and half of this new flour. After I had the rolls all put together (but not baked yet), I put the pan in the fridge, and this morning I baked them. It was quite the treat to have fresh and delicious rolls for our breakfast. “You children don’t know how blessed you are right now!” I said. “We’re blessed because we have YOU for a mother!” said Grace. That was all the reward I needed. And then I ate two warm cinnamon rolls and tried not to cry for joy. Here is an idea for your candles. Lately I have been fascinated and encouraged with the verses in the Bible that have to do with LIGHT….and that Jesus is the LIGHT OF THE WORLD. I usually have at least one candle lit during the day and it came to me that it would be a blessing to have a Bible verse propped up by it. So, for my devotional time this morning, I sat with my Bible and picked a couple of verses. Can I just say, I love my Bible? I bought it at a library book sale for 2 dollars. It’s filled with a woman’s notes and underlining and they are all a blessing to me (I can’t wait to meet her someday, and I wonder HOW her Bible got at the library book sale!?! )…..I don’t even know her name, it’s not written in it. I love the feel of it in my hands, the smell, the sound of the pages opening and turning. Most of all, I love that the Words are from God, and are healthy and perfect and nourishing to my soul. Writing the verses took just a couple of minutes….and at some point I would like to make a stack of thicker, pretty cards made with scrapbook paper, to use every day with my candlelight. Enough to change the verse every few days. Aren’t you so very thankful that Jesus turned our darkness into LIGHT? And now we are lights, as well, shining for Him each day. 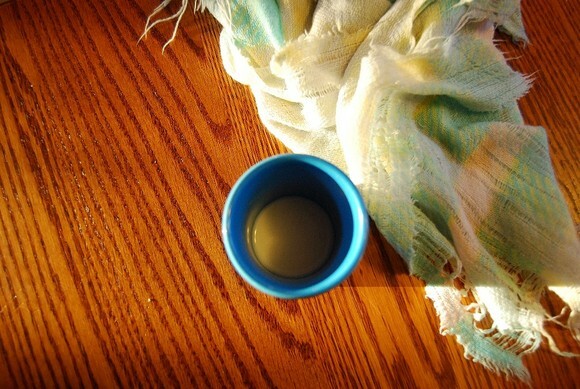 This entry was posted in Uncategorized and tagged 25daysofChristmas by Shanda. Bookmark the permalink. What a beautiful reminder that I so desperately needed to “hear” today. 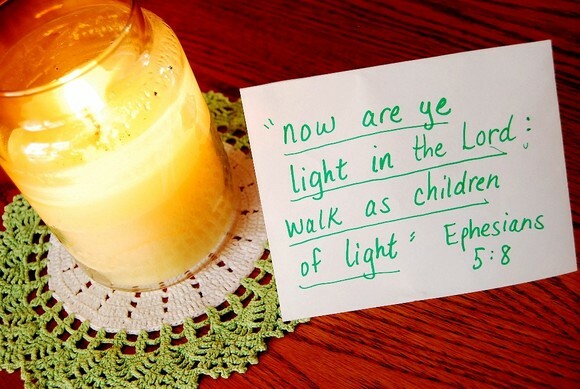 Thank you Shanda for posting this and encouraging me…..
love the idea of using a candle and its light to remind us of the Lord’s light in our life…what a great reminder.and i’m sure that since you’re usually where the candles are it is a great reminder every now and again throughout the day to see them and be encouraged thank you for sharing them. those cinnamon rolls do look tasty. i woke up thinking that i’d like some of that yummy goodness, but since my landlady is watching her cholesterol intake we generally don’t have sweet like those around! hope you guys all have a fantastic day. be blessed. 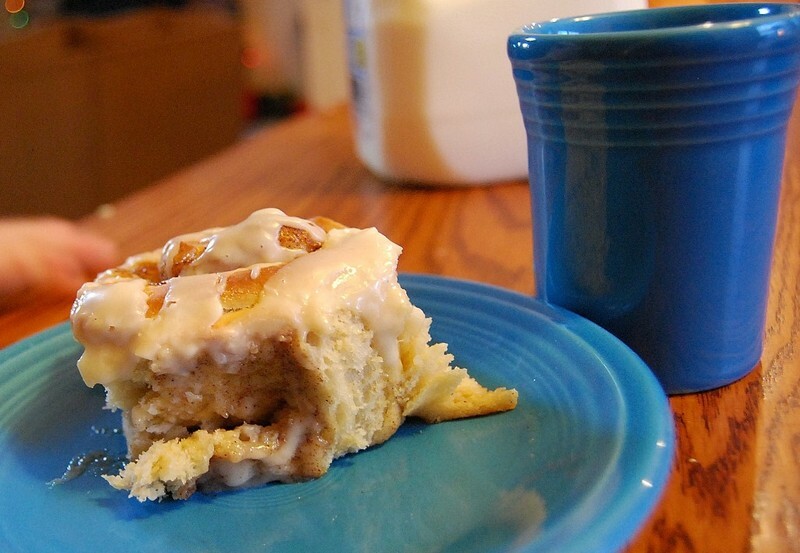 Those cinnamon rolls look yummy. I was always intimidated to make them for breakfast…thinking I would have to get up at the crack of dawn. LOL Nice you refrigerated them and then baked in the morning. Great discovery with the flour. 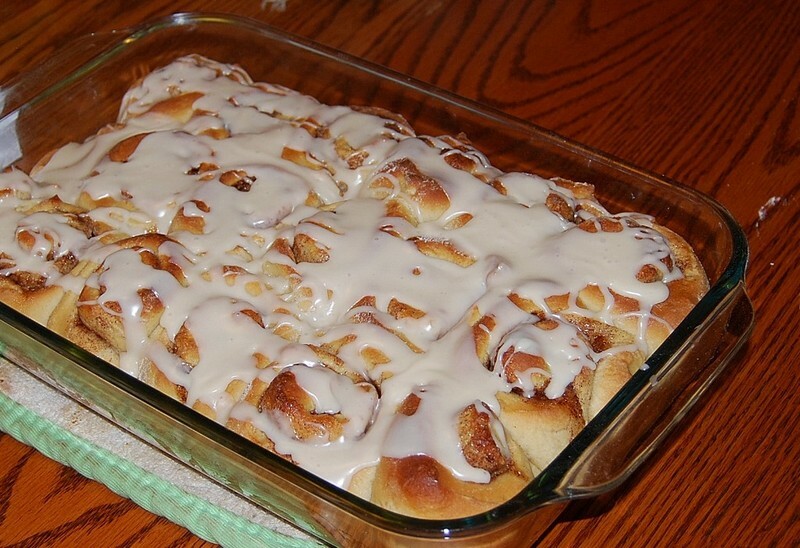 My kids all like whole wheat and whole grain pancakes and breads because we have always served it, but I don’t know about something like cinnamon rolls, they would be heavy with regular whole wheat, that flour seems like a great alternative! I also like that it isn’t bromated, I read that so many breads are. 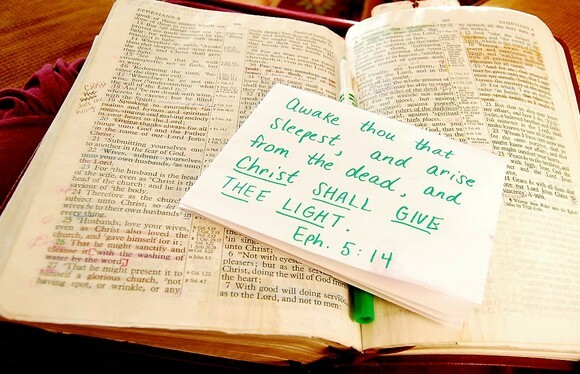 Love the scripture with the candle each day. Jesus uses just such imagery so often. Your home is like an embrace Shanda! Those are some great ideas. About the rolls. do you use the same amount of yeast as usual or do you decrease it because it will be sitting overnight (or does it rise super slow in the fridge anyway?)??? Please let me know cause I’d like to try it overnight like that….it would be nice to just pop it in the oven when I wake up. Have a great day….I always enjoy your posts! @momtonine – I used a recipe from the Betty Crocker cookbook and the directions for making them ahead is right there in the recipe. You don’t change any ingredients if you want to refridgerate overnight. The cold temps mean the dough doesn’t rise as fast. In the morning, you take the rolls out of the fridge and let them sit for 30 minutes before going ahead and baking them as usual. Have fun! 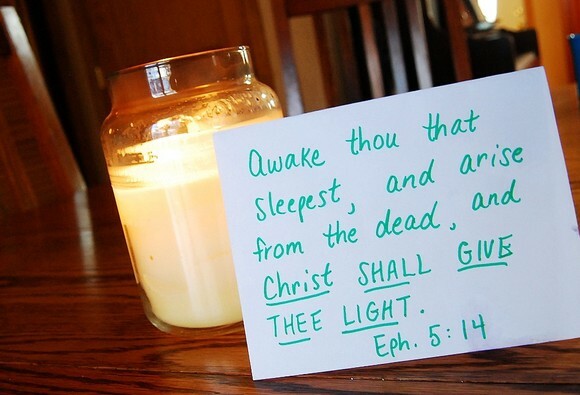 Love the idea of putting verses beside the candle. I need to seriously commit to absorb scripture. This coming year I want to memorize several verses per month to “keep with me”. I know that I need extra time to memorize as opposed to when I was a child, but I think I need to hide the Word. Homemade cinnamon buns and milk…what a great breakfast. Love the face on your little one. He’s enjoying it too:). I found this rather interesting as just this past week the word “light” became very precious to me as well. I love your idea of writing out these verses. What a beautiful thing for the kids to remember. 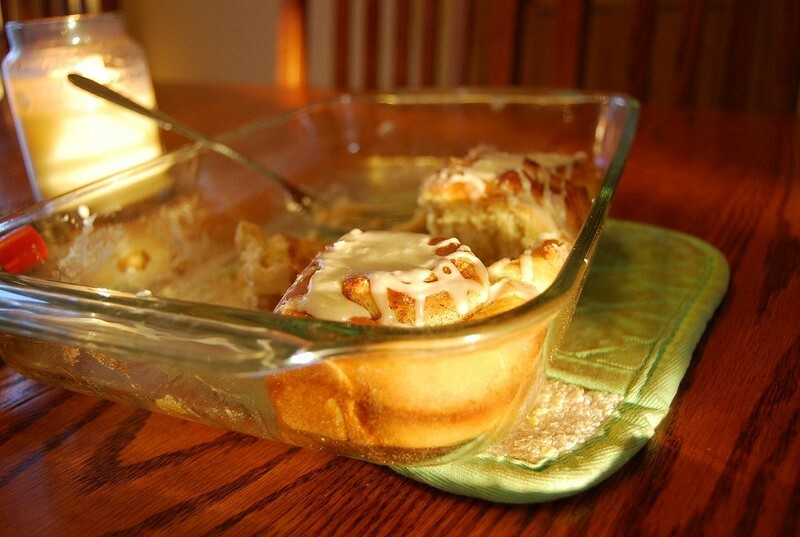 I would so love it if you shared that cinnamon roll recipe. We always crack open a few cans Christmas morning, but how wonderful it would be to serve them fresh!It looks like Seth is asking where his roll is! I love all the quotes. I needed the encouragement today. I love your candle with Scripture idea. I have a friend that puts her special verses near the kitchen sink (where she spends a lot of time).Little Seth looks so cute…he really enjoys his food .Oh, did you make the doilie (not sure if I spelled that correctly) in the last picture? It is so pretty. Great quotes, great thoughts, great cinnamon rolls!! I’m hungry! @Thia7278 – It probably looks like he didn’t have one, but he did! He ate a whole one all by himself. I broke it up in little pieces for him.For the recipe, I just used one from a Betty Crocker cookbook. You can’t go wrong. You could always check allrecipes.com, too. I love that website. @jessnboyz – No, I didn’t make it, I wish! I buy those doiles from antique stores, they are usually around a dollar or so. I think they are beautiful. My great grandma used to make them, too, and I have quite a few that she made me after I got married. I love these ways you show in your home how God is important and His word is too. . . Yummy cinnamon rolls! What a reward from Grace. Soak it in. Thanks for sharing it! That breakfast looks just wonderful! What a precious thing to hear from Grace. Also try using whole wheat pastry flour! 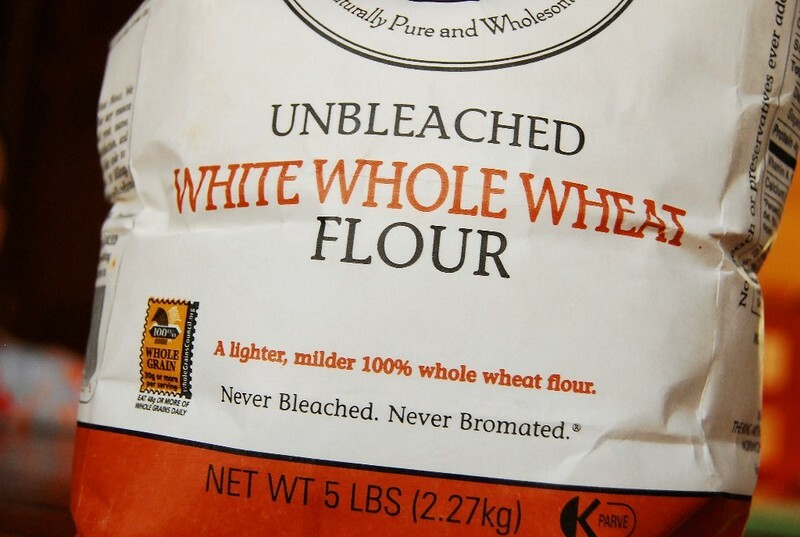 I use that for pretty much everything, except if you make bread or rolls, the white wheat flour works better for that. I use whole wheat pastry flour for cookies and cakes and brownies and such…most of the time you can’t tell the difference! Loved your Post!! The ideas and Grace’s comment are so sweet! I’ve been following your blog since sometime early this spring because you inspire me to love being a homemaker. I love being a mommy. But to be very honest, sometimes old dreams die hard. And there are days …….. I love that your spirit is at rest. It’s what I wish I had more of. Of course there is chaos sometimes (and I love that you are honest about that); but I always sense you bringing things back to a state of rest because that is who you are. I think that is truly a mother’s role and it’s something I have a hard time doing sometimes. I want to go and do and sometimes the chaos at our house is not b/c of the boys but because I am simply trying to do to many things. Yesterday was such a fun, restful, domestic day here and I loved it.Thanks for sharing your life. I still sleep with my baby blanket, one crocheted by my maternal great grandmother! It is better than a pillow for my arms, and it keeps me soooo warm in cold weather (even Terry borrowed it one night and realized how nice it was)!I love your idea of putting “light” Scriptures next to your candles and plan on following your example!Thank you for sharing the wonderful treasures of those quotes by Laura Ingalls Wilder! “Keeping America a land of homes” and “brightening the fabric of all civilation…” now, if that doesn’t inspire a woman in her roles of mothering and homemaking, what will? !Oh and YES about the white whole wheat flour! Not all wheat is the hard red kind, and for those accustomed to white bread, the white wheat is more palatable. We have to talk bread on our next visit! My mom started making bread when I was little, even buying and grinding her own whole wheat! Now, my sisters (even the ones in college!) and I all have our own mills and do the same thing, and I even buy whole oats and flake them myself, for our oatmeal. The flavor of freshly ground/flaked grain is so very good, not to mention the smell of that baking bread! And, with a big family, it is so economical to buy the whole grain. My parents had this huge 18-wheeler come to our house once a year with brown rice, red and white wheat, whole oats, and other grains, and we stored all that in our basement. 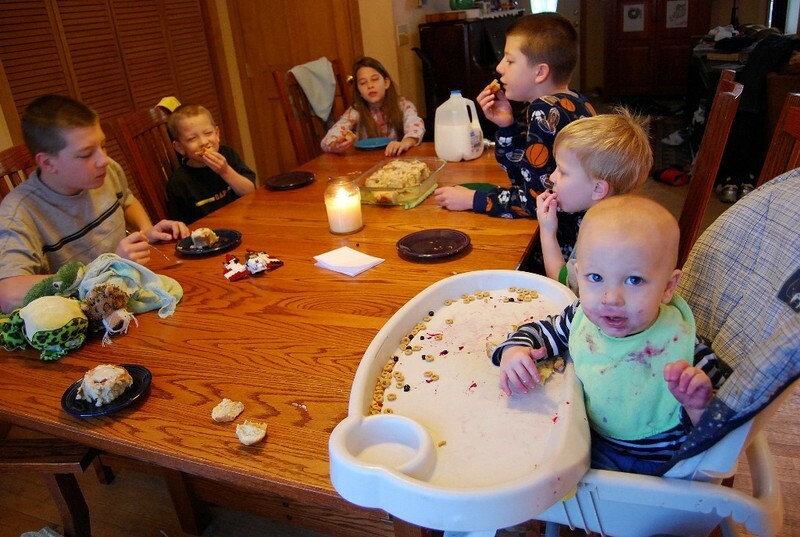 (We never had to worry about shelf life of bread or flour, or making trips to the store if we ran out…) Each day, it was a different kid’s chore to make the bread, so everyone learned how to do it. For a few years there, we made six loaves of bread, every school day, and we ate bread in some form at every single meal. A good and healthy way to fill up a bunch of kids! Mom always kept some in the freezer too, for days if the bread didn’t get made for some reason. It is permanently etched in my memory, the sight of those loaves rising on the counter, or hot and steaming right out of the oven. When the bread was fresh from the oven, there were always kids ready to slice and eat some with butter and honey drizzled on top.